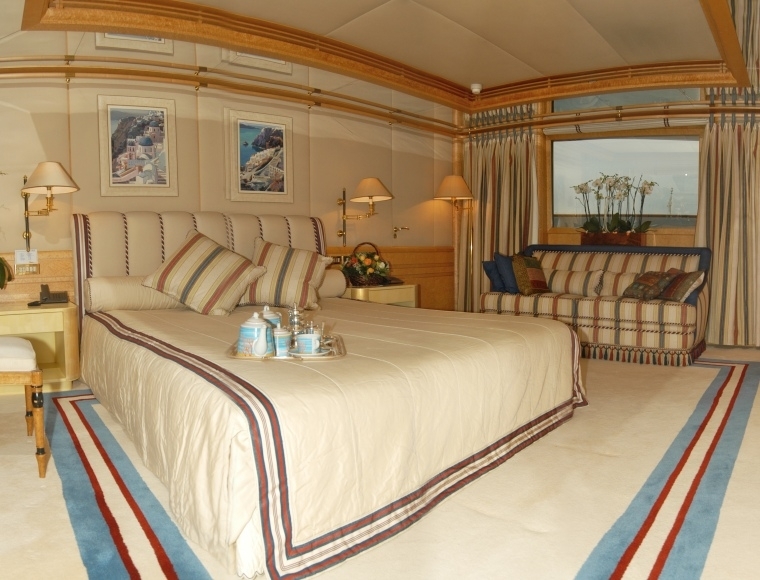 Motor yacht BELLA STELLA can accommodate up to 12 guests 7 cabins including a full beam Master Cabin located on the main deck, that has a king size bed, a sofa, a separate dressing area, ample amount of closet space and Satellite TV/CD/DVD entertainment. 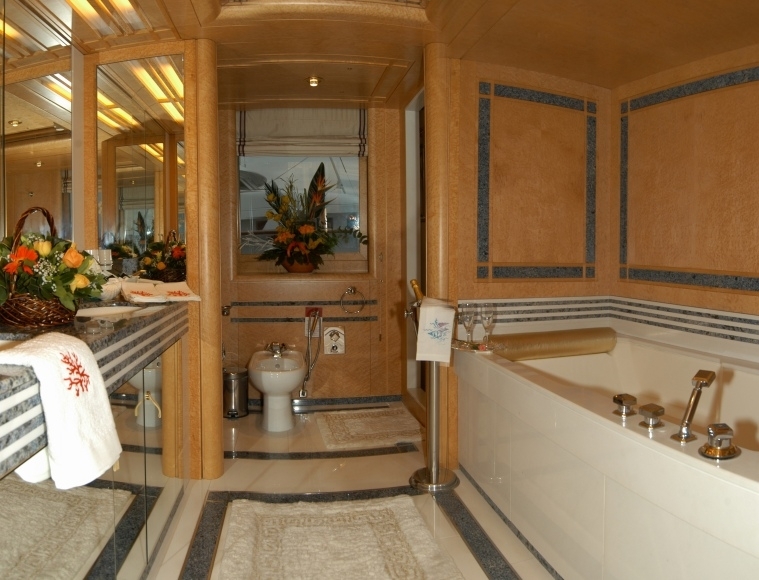 The luxurious en-suite facilities of the Master Cabin has double sinks, bathtub and shower. 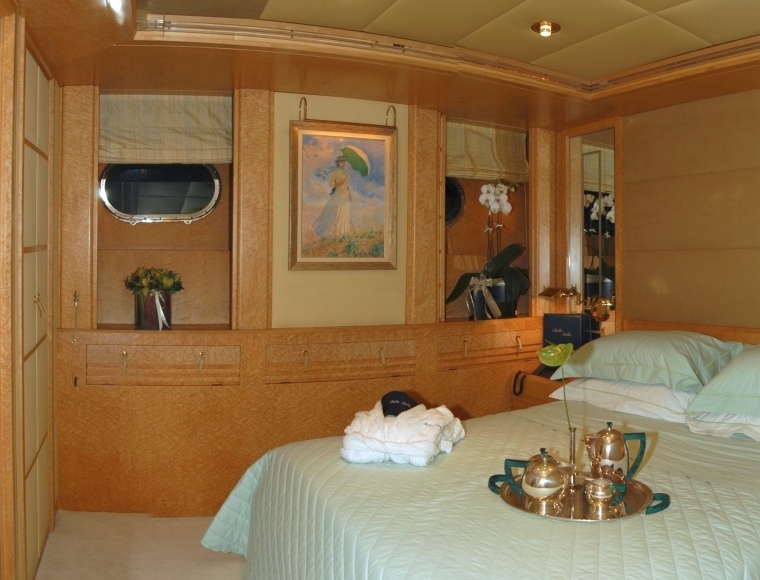 There are also four Double cabins and two Twin Cabins. 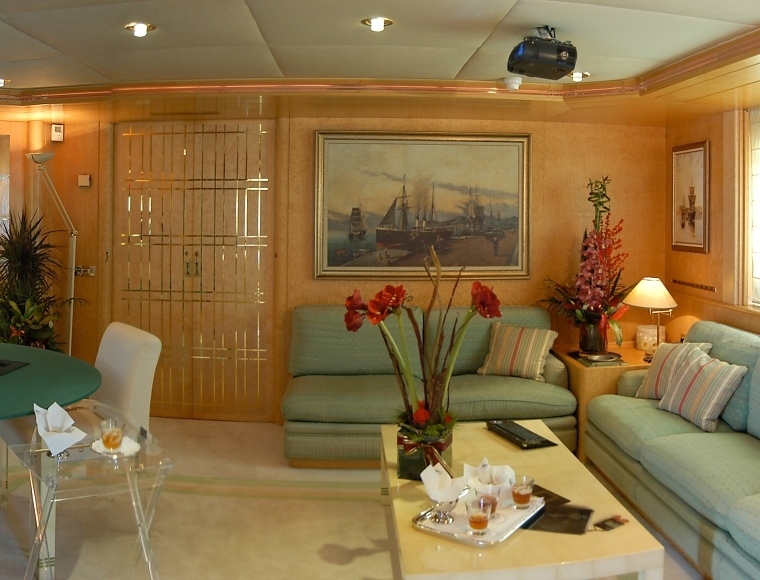 Each cabin has its unique color coordination decoration, en-suite facilities, Satellite TV/CD/DVD entertainment and fully air-conditioned throughout. There is Wi-Fi internet connection throughout all areas. 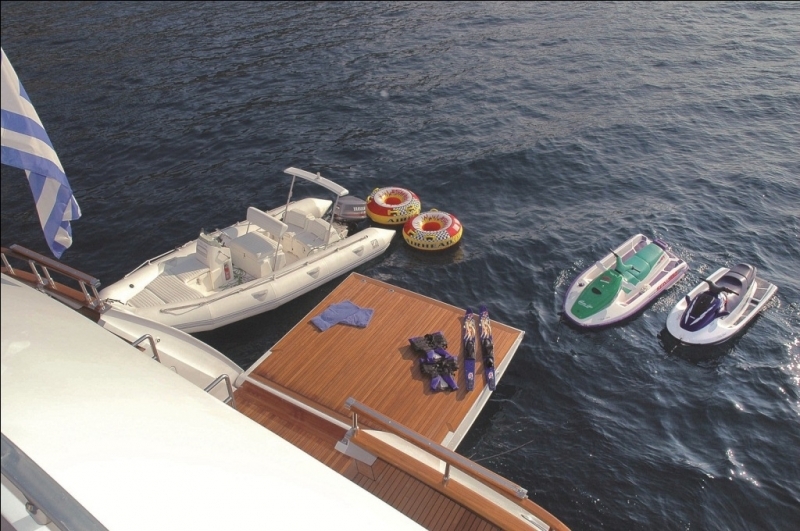 The BELLA STELLA motor yacht has the following extras onboard: Tenders & Toys include a Zodiac 6.60m with 115hp outboard, two 2 persons 750cc Sea Doo Bombardier jet-ski, a 2 persons GP1200cc Yamaha Jet-ski, a 5 persons Sea Wasp (banana), two 2 persons Patriot duo (tubes), Water-skis, Snorkelling equipment, Fishing Equipment, Communications include Satellite Communications, VSAT (Hellas Sat Provider) - unlimited use, Fleet 77 (Phone, Fax & Email), SATCOM & Cellular Communications, GSM Phone, High speed wi-fi Internet - in all areas. 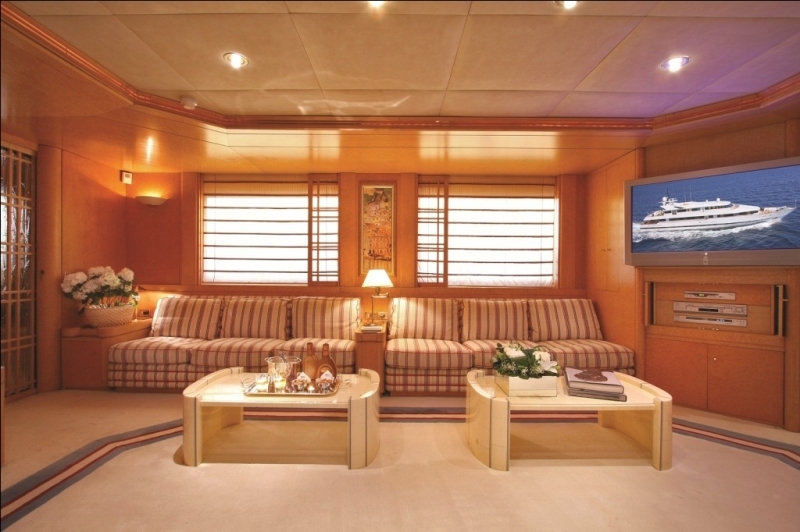 Audio Visual Equipment and Deck Facilities include Comprehensive audio visual systems, Satellite TV (Nova/ Hotbird), Home theatre system with projection screen, Playstation3, TV, CD & DVD player in all cabins. Motor yacht BELLA STELLA is a 45m CRN charter yacht measuring 45 meters (147.6 Feet). 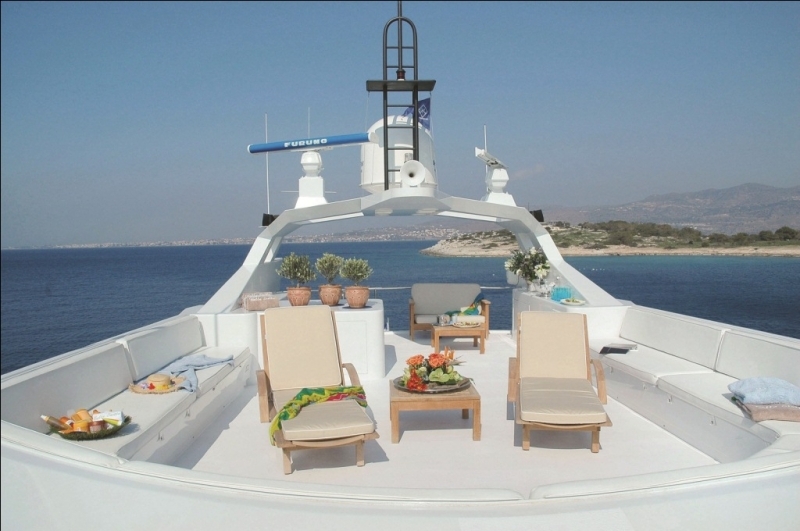 M/Y BELLA STELLA charters throughout the Eastern and Western Mediterranean Sea. 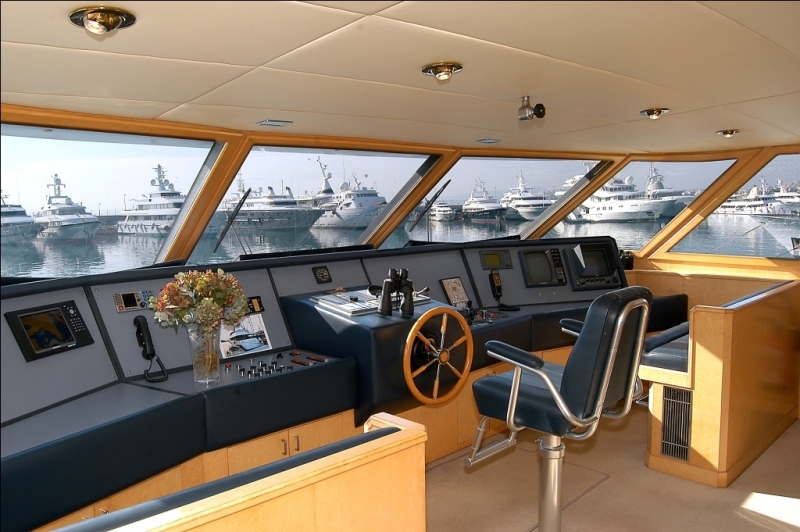 BELLA STELLA was built by CRN Ancona in 1987 and has since been refitted in 2007. 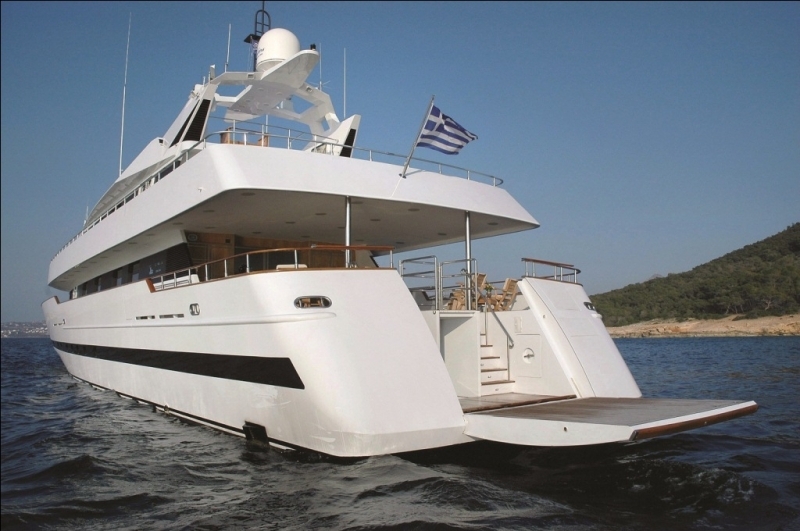 The yacht has a steel displacement hull and is able to accommodate up to 14 guests in 7 cabins. 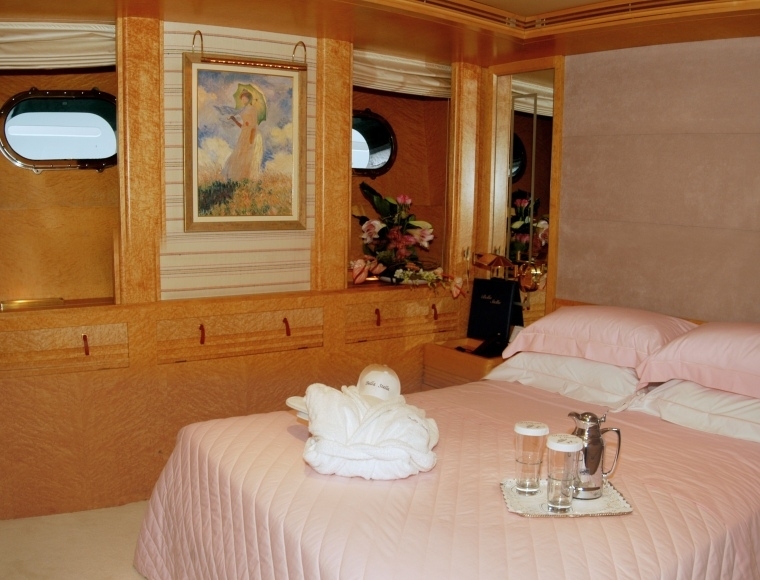 Yacht BELLA STELLA has a large main salon featuring joyful pastel colors and large windows allowing for plenty of natural light. 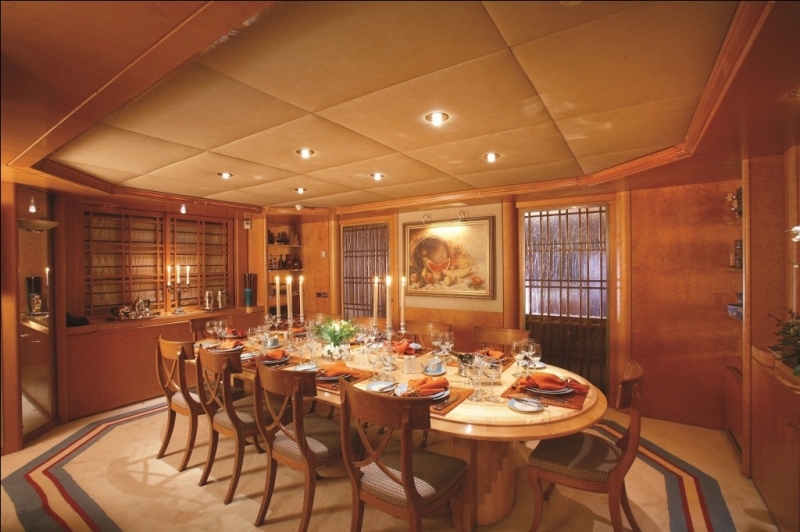 There is a separate formal dining room that is elegant and grand, able to seat up to 12 charter guests. 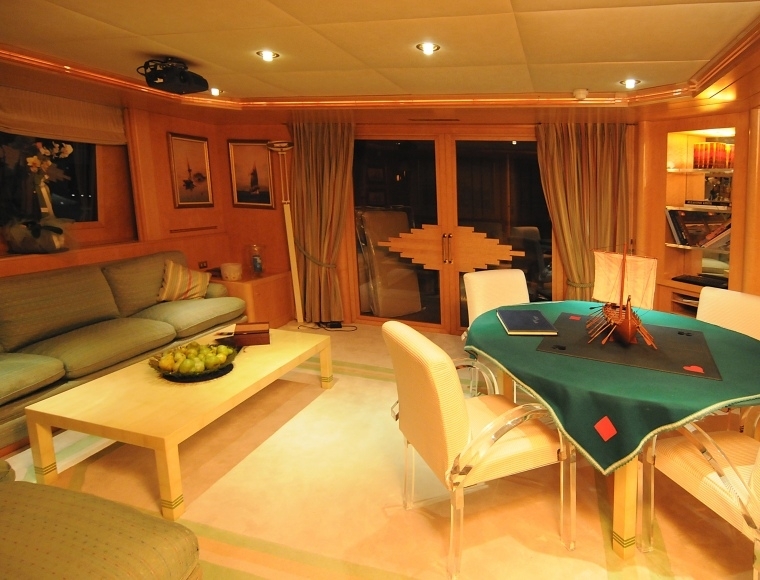 There is also an upper salon with seating and a card table that offers great views as well as access to the upper aft deck. The CRN yacht BELLA STELLA is able to accommodate up to 12 guests 7 cabins including a Master cabin, four Double cabins and two Twin Cabins. 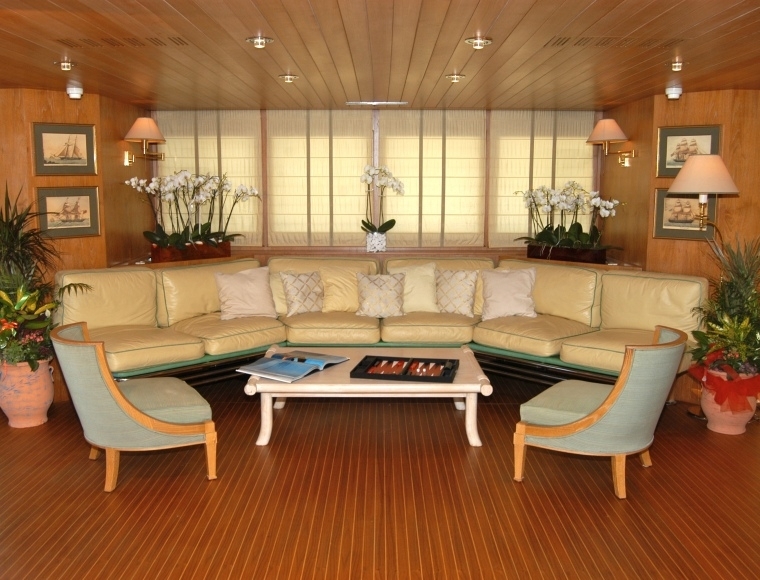 Each cabin has its unique color coordination decoration, en-suite facilities, Satellite TV/CD/DVD entertainment and fully air-conditioned throughout. There is Wi-Fi internet connection throughout all areas. 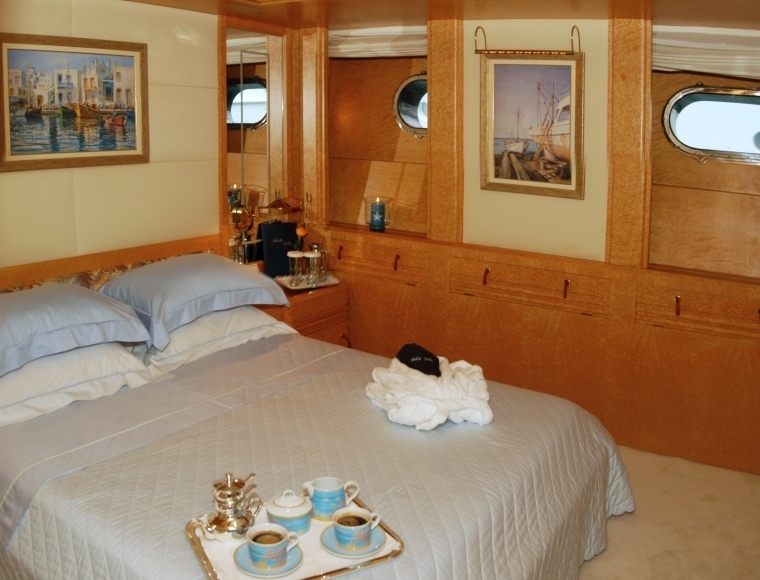 The full beam Master Cabin, located on the main deck, has a king size bed, a sofa, a separate dressing area, ample amount of closet space and Satellite TV/CD/DVD entertainment. 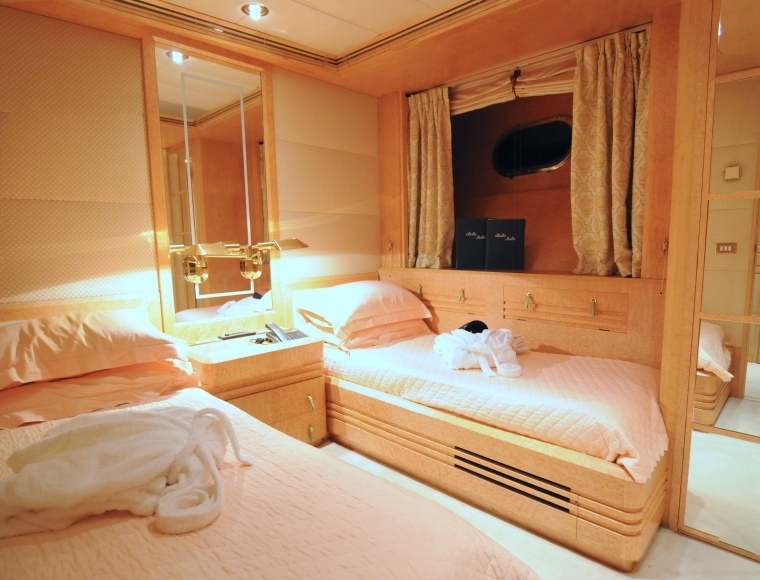 The luxurious en-suite facilities of the Master Cabin has double sinks, bathtub and shower. 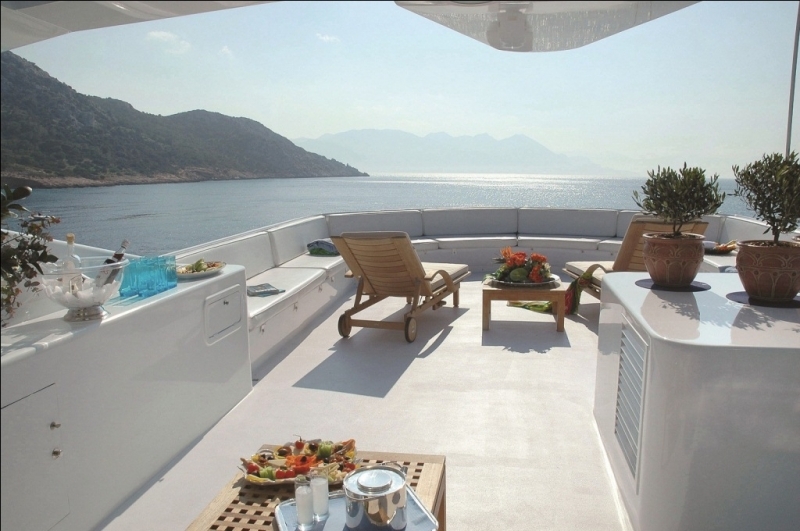 The spacious Sun Deck of the BELLA STELLA yacht offers the perfect spot for sunbathing and enjoying 360 degree breath-taking panoramic view of the seascape. 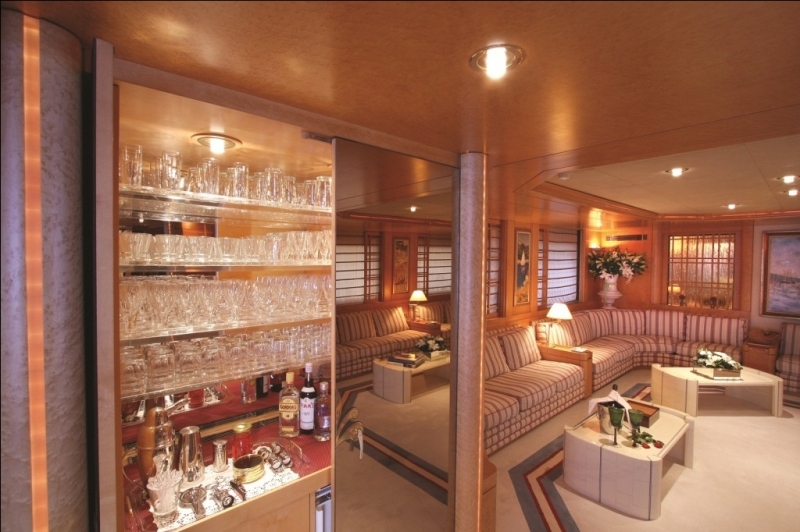 There is also a large exterior upper deck and aft deck for guests to enjoy. 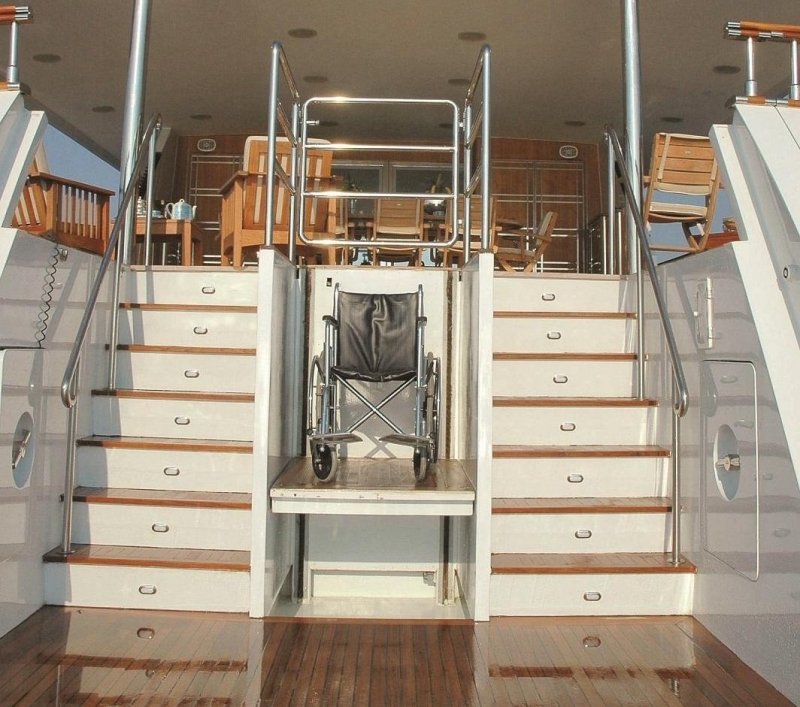 The gangway of BELLA STELLA has been constructed to be wheelchair friendly. Every last detail has been seen through in order to provide outstanding service and comfort to her exclusive clientele.